adrian committed rS346470: [ath] [ath_hal] [ath_hal_9300] Extend the start PCU receive to handle resetting…. adrian committed rS346405: [ath] Fix return value check to not complain..
[ath] Fix return value check to not complain. adrian added a comment to D19944: random(4): Restore availability tradeoff prior to r346250. I'm ok with flipping random on by default nowdays. There are bigger fish to fry in the "wasted kernel space" game. adrian accepted D19622: Fix panic in network stack due memory use after free in relation to fragmented packets. I think this is a pretty self contained change and would like to see it land. adrian committed rS346322: [casper] fix compilation when casper is disabled..
[casper] fix compilation when casper is disabled. adrian added a comment to D19622: Fix panic in network stack due memory use after free in relation to fragmented packets. So in a Previous Project a Long Long Time Ago we solved this by having the receive/send state being an ifindex into an array of "ifnet" pointers, and a gencount so you can see if it's stale. Then all the code had to handle that the interface ifindex was stale (ie, a NULL pointer versus a garbage pointer) and decide at each point how to make forward progress. In some cases it wasn't needed for forward progress - eg it was already on a transmit queue, so the fact the receive interface went away wasn't a huge deal. But sometimes it was - eg tunnel (l2tp in one case) went away. And yes I'd love for this to be addressed as a whole, but this is a pretty neat way to explicitly call out fixing up a good corner case. adrian committed rS345284: [ath_hal_ar9300] Add some comments around the AR9300 ANI code..
[ath_hal_ar9300] Add some comments around the AR9300 ANI code. adrian committed rS344843: [ath_hal_ar9300] Add the missing bits from the previous HAL commit..
[ath_hal_ar9300] Add the missing bits from the previous HAL commit. adrian committed rS344842: [athani] Add a simple tool to list and control ANI parameters..
[athani] Add a simple tool to list and control ANI parameters. adrian committed rS344841: [ath_hal] [ath_hal_ar9300] ANI fixes and preparation for userland control..
[ath_hal] [ath_hal_ar9300] ANI fixes and preparation for userland control. adrian committed rS344750: [ath_hal_ar9300] Add the extra ANI configuration fields for the AR93xx HAL..
[ath_hal_ar9300] Add the extra ANI configuration fields for the AR93xx HAL. adrian committed rS344749: [ath_hal] add extra ANI fields for the AR9300 HAL..
[ath_hal] add extra ANI fields for the AR9300 HAL. adrian added a comment to D5165: [patch] dev/bwn suppressing "bwn0: unsupported rate 0" console messages. Yeah, we should have a fallback rate function in net80211. adrian added a comment to D17308: net80211: Enable netdump support. adrian added inline comments to D17308: net80211: Enable netdump support. adrian added a comment to D15943: new driver: dev/rt2860: driver for RT2860 wifi. I was going to try and commit this to -head soon, as it's a pretty stand-alone thing. even just before -head branches. adrian added a comment to P188 arge_rxfilter(9) implemented for if_arge(4), some parts were externalized from arge_attach(9) and cleanup on some magic numbers.. This looks good! do you have commit privs or should I break it up into smaller pieces and commit it? adrian added a comment to D15999: Create PCI_MATCH and pci_match_device. interesting! ok. I wonder how hard it'd be to integrate this into the existing ral driver. All of the RAL "HAL" routines right now really are almost complete drivers themselves with some shared bus management glue. HOw hard does it look to integrate it? adrian committed rS334849: [ath_hal] Return failure if noise floor calibration fails..
[ath_hal] Return failure if noise floor calibration fails. adrian committed rS334848: [ath_hal] Don't do ANI processing if we've reset..
[ath_hal] Don't do ANI processing if we've reset. adrian committed rS334197: [ath_hal] migrate the shared HAL_RESET_* pieces out into ath_hal..
[ath_hal] migrate the shared HAL_RESET_* pieces out into ath_hal. adrian accepted D14710: Show SSID maximum string length in ifconfig scan. I think it's fine to extend it; longer SSIDs are now a thing and have been for a while. adrian accepted D14628: Wrap protection frame allocation into ieee80211_alloc_prot(). It looks good! It'd be fun to try and RTS/CTS protect longer bursts, but that can always come later! adrian committed rS328970: [ath] Use the BSSID address logic for STA VAPs too..
[ath] Use the BSSID address logic for STA VAPs too. adrian committed rS328969: [ar71xx] Fix the TL-wdr3600/tl-wdr4300 hints in the new world order..
[ar71xx] Fix the TL-wdr3600/tl-wdr4300 hints in the new world order. adrian committed rS328924: [arswitch] Implement the switch MAC address fetch API..
[arswitch] Implement the switch MAC address fetch API. adrian committed rS328923: [etherswitchcfg] print the switch MAC address if provided..
[etherswitchcfg] print the switch MAC address if provided. adrian committed rS328922: [etherswitch] add initial support for potentially configuring and fetching the…. adrian committed rS328901: [arswitch] disable ARP copy-to-CPU port for AR9340 for now..
[arswitch] disable ARP copy-to-CPU port for AR9340 for now. adrian committed rS328900: [arswitch] fix build breakage..
adrian committed rS328873: [arswitch] Enable ATU dump support for the AR9340..
[arswitch] Enable ATU dump support for the AR9340. adrian committed rS328872: [arswitch] fix mac address field definition..
[arswitch] fix mac address field definition. adrian committed rS328871: [arswitch] Break out of the loop upon any error, not just -1..
[arswitch] Break out of the loop upon any error, not just -1.
adrian committed rS328869: [ar71xx] Fix DB120 AHB device hints in the new world order..
[ar71xx] Fix DB120 AHB device hints in the new world order. adrian committed rS328868: [ar71xx] AR934x is a MIPS74k board - use the right hwpmc module. adrian committed rS328867: [ar71xx] New world order - don't reference ath_pci here, it's a module now. adrian committed rS328838: [arswitch] fix up issues on the AR8327..
[arswitch] fix up issues on the AR8327. adrian committed rS328823: [arswitch] add initial functionality for AR8327 ATU management..
[arswitch] add initial functionality for AR8327 ATU management. adrian committed rS328815: [etherswitchcfg] add atu flush and atu dump commands..
[etherswitchcfg] add atu flush and atu dump commands. adrian committed rS328814: [arswitch] Stub out the ATU table dump in AR9340 switches until I implement. adrian committed rS328812: [arswitch] begin tidying up the learning and ATU management, introduce ATU APIs..
[arswitch] begin tidying up the learning and ATU management, introduce ATU APIs. adrian committed rS328766: [etherswitch] add the first pass of a simple API to flush and fetch the L2…. adrian committed rS328758: [atheros] Update QCA953x support to use the new hints..
[atheros] Update QCA953x support to use the new hints. adrian committed rS328757: [atheros] Fix DIR-825C1 to use the new hints..
[atheros] Fix DIR-825C1 to use the new hints. adrian committed rS328756: [atheros] teach these two boards about the new hints location as well..
[atheros] teach these two boards about the new hints location as well. adrian committed rS328755: [atheros] Teach the QCA955x SoC code about the new hints stuff..
[atheros] Teach the QCA955x SoC code about the new hints stuff. adrian committed rS328754: [atheros] Fix-up the base address stuff after I did a drive-by with the…. adrian committed rS328619: [arswitch] Fix ATU programming on the AR8327 switch..
[arswitch] Fix ATU programming on the AR8327 switch. adrian committed rS328618: [arswitch] Fix ATU flushing on AR8216/AR8316 and most of the later chips..
[arswitch] Fix ATU flushing on AR8216/AR8316 and most of the later chips. adrian committed rS328617: [arswitch] add a new debug section for upcoming address table management..
[arswitch] add a new debug section for upcoming address table management. adrian committed rS327479: [net80211] convert all of the WME use over to a temporary copy of WME info..
[net80211] convert all of the WME use over to a temporary copy of WME info. adrian added a comment to D13161: net80211: sanitize input for ieee80211_output(). adrian added a comment to D9806: net80211: handle VHT nodes in ieee80211_node_setuptxparms(). adrian committed rS326737: [net80211] add a method for checking if a VAP WME AC has a NOACK policy or not..
[net80211] add a method for checking if a VAP WME AC has a NOACK policy or not. adrian accepted D13021: bhnd: add/update inline documentation comments and man pages. adrian added a comment to D13244: Remove fortune(6). Replacing it with a placeholder bootstrap fortune shell script to retain backward compat is a smart move. adrian accepted D13244: Remove fortune(6). adrian accepted D12385: Preemptively perform intr_map_irq() on non-FDT MIPS targets..
adrian added inline comments to D13161: net80211: sanitize input for ieee80211_output(). adrian committed rS325569: [bsdbox] fix compilation due to library work..
[bsdbox] fix compilation due to library work. adrian closed D12680: [svxlink] make this compile again. adrian committed rP452246: [svxlink] make this compile / run on FreeBSD-HEAD again..
[svxlink] make this compile / run on FreeBSD-HEAD again. adrian updated the diff for D12680: [svxlink] make this compile again. adrian created D12680: [svxlink] make this compile again. adrian committed rS324580: [net80211] don't try to follow a NULL rxs pointer down the sink..
[net80211] don't try to follow a NULL rxs pointer down the sink. adrian committed rS324571: [ath] Begin using the replacement EDCA functions..
[ath] Begin using the replacement EDCA functions. adrian committed rS324570: [net80211] begin handling multiple hardware decap'ed A-MSDU in the RX path..
[net80211] begin handling multiple hardware decap'ed A-MSDU in the RX path. adrian added a comment to D12480: multimedia/qt5-multimedia: Modernize and turn on sound support by default. I think alsa is fine, as pulseaudio can capture alsa sound too. adrian accepted D12480: multimedia/qt5-multimedia: Modernize and turn on sound support by default. hi! thanks for this! this will be really useful! adrian accepted D12582: bhnd(4): Add support for querying DMA address translation parameters. adrian accepted D12552: net80211: export interface unit number via SIOCG80211 ioctl (IEEE80211_IOC_UNIT request type). adrian added a comment to D12553: wlandebug(8): use new IEEE80211_IOC_UNIT ioctl request. maybe the libifconfig thing that was done recently? adrian accepted D12553: wlandebug(8): use new IEEE80211_IOC_UNIT ioctl request. adrian added a comment to D12385: Preemptively perform intr_map_irq() on non-FDT MIPS targets..
adrian accepted D12392: Implement bhnd(4) platform device registration..
adrian accepted D12510: Add support for supplying bus I/O callbacks when initializing an EROM parser..
adrian accepted D12300: Add MIPS32/64 Rev2 intctl cp0 register definitions..
adrian added a reviewer for D12157: [net80211] add A-MSDU hardware decap sequence number range checking This is part one of a multi-part series aimed at supporting hardware decap'ed A-MSDU frames. Hardware decap'ed A-MSDU frames have a variety of unfun behaviours: * for now, they...: s3erios_gmail.com. adrian accepted D3272: Add ALTQ(9) CoDel algorithm support. adrian accepted D11810: Add gpio methods to read/write/configure the state of up to 32 pins simultaneously. adrian committed rS321800: [wlanwds] allow for a DWDS AP VAP to be not be the first VAP on a NIC..
[wlanwds] allow for a DWDS AP VAP to be not be the first VAP on a NIC. adrian committed rS321635: [ar71xx] get rid of ath_pci - it's built as a module now..
[ar71xx] get rid of ath_pci - it's built as a module now. adrian committed rS321511: [iwm] Sync rs (rate-selection) API definitions from Linux iwlwifi..
[iwm] Sync rs (rate-selection) API definitions from Linux iwlwifi. 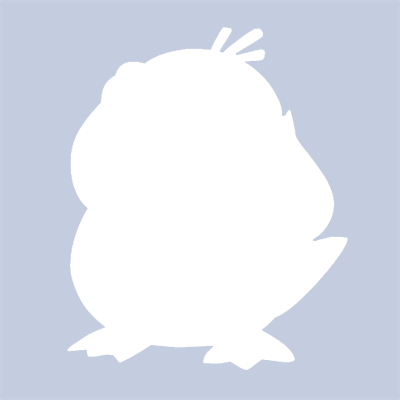 adrian committed rS321510: [iwm] Add iwm_mvm_send_lq_cmd() from Linux iwlwifi to if_iwm_util.c..
[iwm] Add iwm_mvm_send_lq_cmd() from Linux iwlwifi to if_iwm_util.c. adrian committed rS321509: [iwm] Sync statistics API definitions with Linux iwlwifi..
[iwm] Sync statistics API definitions with Linux iwlwifi. adrian committed rS321508: [iwm] Cleanup mbufq draining. Add iwm_xmit_queue_drain() like in iwn(4)..
[iwm] Cleanup mbufq draining. Add iwm_xmit_queue_drain() like in iwn(4). adrian committed rS321507: [iwm] if_iwm - Use chan list from ieee80211_scan_state for scan, not…. adrian committed rS321380: [ar933x] make carambola2 work again!. [ar933x] make carambola2 work again! adrian committed rS321379: [ar933x] re-add the ar71xx_apb device for AR933x..
[ar933x] re-add the ar71xx_apb device for AR933x. adrian committed rS321101: [iwm] actually use the new rxon function now..
[iwm] actually use the new rxon function now. adrian committed rS321100: [iwm] if_iwm - Factor out and improve iwm_mvm_scan_rxon_flags() in if_iwm_scan..
[iwm] if_iwm - Factor out and improve iwm_mvm_scan_rxon_flags() in if_iwm_scan. adrian committed rS320704: [ar724x] put in explicit memory barriers now that read/write register no longer. adrian committed rS320700: [ar71xx] Start migrating the AR934x based boards over to the new world order..
[ar71xx] Start migrating the AR934x based boards over to the new world order. adrian committed rS320466: [ath_hal] if building with ALQ, ensure we actually depend upon ALQ..
[ath_hal] if building with ALQ, ensure we actually depend upon ALQ.